Ranger 23, an EP-3E of Fleet Airborne Reconnaissance Squadron Two (VQ-2), recently took off on a 4-hr. Green Trainer flight from NAS Rota at 10 a.m.--that's a leisurely schedule compared to most surveillance hops, which, with pre- and post-flights included, means a working day of 12 or more hours. This flight took us to the island of Majorca and back at a distance no closer than 60 mi. from the North African coast. The training mission was flown with a full crew of 24 on board. However, getting an accurate profile of a mission was complicated by two factors: the demands of security, and malfunctioning or missing equipment. The aircraft had been cannibalized to ensure three aircraft deployed for operations over Albania and Bosnia were fully operational. BRIEFINGS, CONVERSATIONS and data presented on the aircraft's display were limited to an unclassified level. Moreover, the six communications intercept personnel were ordered to say nothing other than their name and rank. They did not turn on their displays and spent the flight conducting non-operational drills (see p. 53). Normally, for a Western Mediterranean patrol, the National Security Agency (NSA) would provide a list of priority target frequencies--military, government and police--to monitor in North Africa, primarily revolt-ravaged Algeria and the long-time rogue state of Libya. The aircraft's main computer was also down, meaning that direction-finding calculations had to be done manually, thereby substantially increasing the time for triangulation of targets, said VQ-2 skipper, Cdr. Robert Leeds. The EP-3E Aries 2 aircraft is equipped with the APS-134 frequency agile search radar, located in a ventral dome just forward of the wing. Data collected by the aircraft are processed by the AYK-14 computer and given form by the ASA-66 tactical display. Other specialized electronic systems include the ARR-81 for communications intercept and analysis, the ALR-76 for automatic location and identification of radars, and the ALR-82 as an aide in intercepting and classifying electronic signals. The combination of aging equipment, heavy pace of operations and shrinking maintenance funding has taken its toll. Fully mission capable rates are around 50%--the mission computer being a major culprit. However, a computer malfunction seldom derails a mission completely. The unit is still posting a 95%+ completion statistic. Mission capable rates are important to the EP-3 community. Its members point out that EP-3s have a small-footprint and are self-contained. Enough spares and maintenance personnel can be carried on a single aircraft to let it move virtually anywhere in the world and set up operations within 48-72 hr. if there is a 6,000-ft. runway. To help lighten the burden, in April VQ-2 received a fifth aircraft, and a sixth is scheduled to arrive soon, according to Washington-based Navy officials. The squadron's aircraft are an average of 27 years old, with 8,500-9,500 hr. on the airframe out of an expected life of 20,000-22,000 hr. They require about 20 maintenance hr. per flight hour to keep up a pace that has included 1,100 missions and over 10,000 flight hr. since July 4, 1992, in the Adriatic alone. -- Position 8, the manual operator and generally the newest member of the elint crew. Like the other analysts, the operator looks for signal characteristics such as beam width, pulse repetition frequency and interval, scan rates and frequency. He or she will analyze a signal on one receiver while continuing to search with the other. When the EP-3 mission computer fails, operations depend heavily on this position. -- Position 9 holds the multi-static processor that used to find low band signals. These signals are most often associated with early warning, ground control intercept, air traffic control, height finding, fire control and meteorological radars. Pentagon officials said that the last was a key early indicator of a Scud launch during the Gulf war. -- Position 10 conducts rapid, fine-grained analyses of higher-band radar signals. These are crucial in identifying modern fighters such as the Su-27 and MiG-29, and radars used for tracking, fire control and missile guidance. Such radars can use up to a half-dozen pulse repetition intervals to disguise themselves. This operator can often determine when a radar has locked onto a target. Analysis is regularly done within 30 sec. and passed to other operators on the EP-3. -- Position 11 holds the ``Big Look'' radar operator and elint specialist, who has the longest range equipment and thus will generally see radars first and assign them to other operators. With the lead operator, he or she will evaluate the criticality of a new signal. -- Position 12--The elint supervisor has responsibility for coordinating the data collected by positions 8-12. -- Position 13 seats the electronic warfare combat coordinator, who is in charge of integrating both the electronic and communications intelligence gathered during a mission. He also must ensure data leaves the aircraft in a timely manner to other aircraft, operational headquarters and intelligence agencies. -- Position 14 holds the special supervisor for communications intelligence. A second console at the right rear of the aircraft is filled with communications intercept specialists, positions 15-19, who feed data to the special supervisor. The final station, position 20 at the left rear of the aircraft, is used for special scientific and technical collection and analysis. The main target of elint is radars. The three broad categories of radars are target acquisition (the classic, long-range circular scan), target tracker (a sector search with pinpoint accuracy) and weapons guidance, which is actually on the air defense missile. What crews don't know without collateral intelligence is whether the missile is still on the launching rail or already in flight. Communications intelligence can sometimes fill in that blank by listening to the chatter between missile crews and their area directors. The primary tool of the elint operators are the direction-finding antennas that dot the EP-3. They are accurate to within a degree. The EP-3 is equipped with Link-11, which allowed Lt. Troy Nichols, the EW combat coordinator, to graphically illustrate the aircraft's connections to a much broader operational world. We were flying in Ranger 23 on a training mission in the Western Mediterranean, but Nichols displayed a radar picture generated by an E-3 AWACS operating over the Adriatic. The AWACS was monitoring aerial activity in the Bosnia/Yugoslavia area, and we could clearly see another of VQ-2's EP-3s flying at 24,000 ft. just off the coast of Albania. 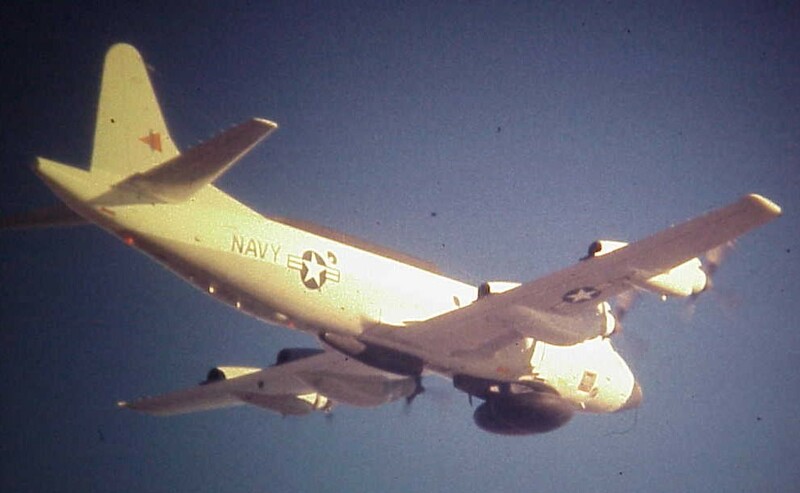 Unlike the Air Force's RC-135, the EP-3 can't capture and annotate the AWACS' picture, but crewmen can use the aircraft's secure voice links to pass a verbal version of the tactical picture, so that a relief aircraft and crew has a grasp of the situation by the time it takes up the patrol, Nichols said. A three-aircraft forward detachment from VQ-2 at Souda Bay, Crete, was flying two flights a day to monitor the crisis in Albania. Each would stay on station for 6-7 hr., enabling them to monitor activity during all the daylight hours, when NATO helicopters were operational. Nighttime operations were scheduled sporadically so that lawbreakers had no automatic refuge. The Tactical Intelligence Broadcast Service also arrives via Link-11. It is used to transmit elint gathered by the EP-3s, primarily to the E-2 and E-3 AWACS and EC-130 Airborne Command and Control Center aircraft. BETWEEN EXPLANATIONS OF CURRENT crew functions and a thorough briefing about changes that the Aries 3 upgrade will bring to electronic reconnaissance, the 4-hr. training hop went quickly. We were back on the ground by mid-afternoon under a cloudless Spanish sky. The EP-3s flying out of Souda Bay, however, were fighting a series of bad weather fronts that are endemic to the Balkans in the spring. A jet stream brings virtually continuous bad weather down the east coast of the Adriatic, bedeviling conventional, daylight video reconnaissance. As a result, aircraft like the EP-3 that can operate despite heavy layers of clouds, satisfy a crucial need for military leaders in that conflict-ridden part of the world.